For more than thirty years - from at least 1837 - Thomas Lamb(e) was a bootmaker here. He was succeeded by - his son? - Peter (possibly the publican of that name who appeared before Maryborough Petty Sessions charged with allowing gambling on his premises1). In the 1880's, the Lambs were replaced by George Fennell who ran a newsagency at the railway station and, in the next decade, a fancy goods shop in the Market Square. Mr Fennell was succeeded by William Grant, pawnbroker John Carroll and, on Census Night 1901, Elizabeth Gallagher, her two daughters - both dressmakers - and Bridget Moore, an apprentice dressmaker. By the time of the next census, William Fennelly, a boot and shoe manufacturer, his wife Mary, and their shop assistant, Mary Hill, were the occupiers here. Cornelius Breen lived here in the 1940's, followed by Patrick O'Sullivan and family. Their shop (Christmas 1956: Toys, Games and Dolls to Delight the Kiddies) had the added attraction of a small ice-cream parlour. One of their advertisements assured us that ice-cream was A Delicious and Sustaining Food. I'm not so sure about that second adjective, but my mouth still waters when I recall the giant Knickerbocker Glory my aunt, on some special day long ago, treated me to here. 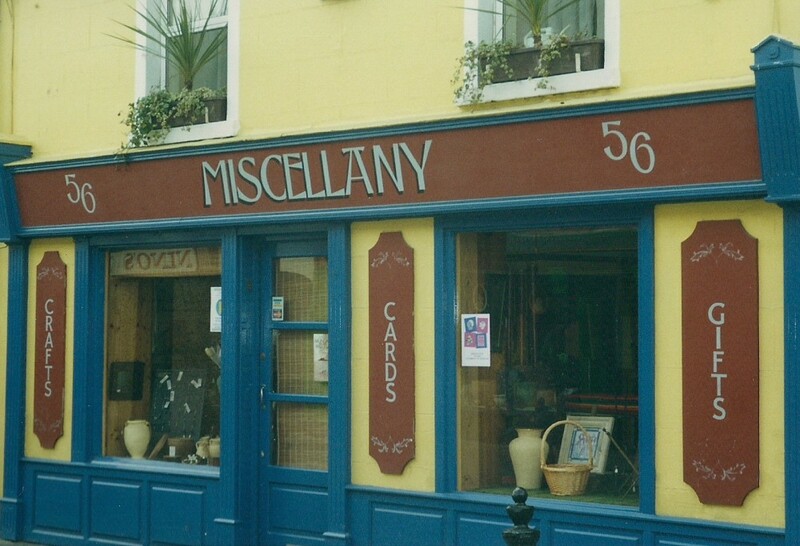 In the late 1970's, Paddy O'Sullivan's daughter Mary opened Miscellany, an unusual shop for unusual gifts. 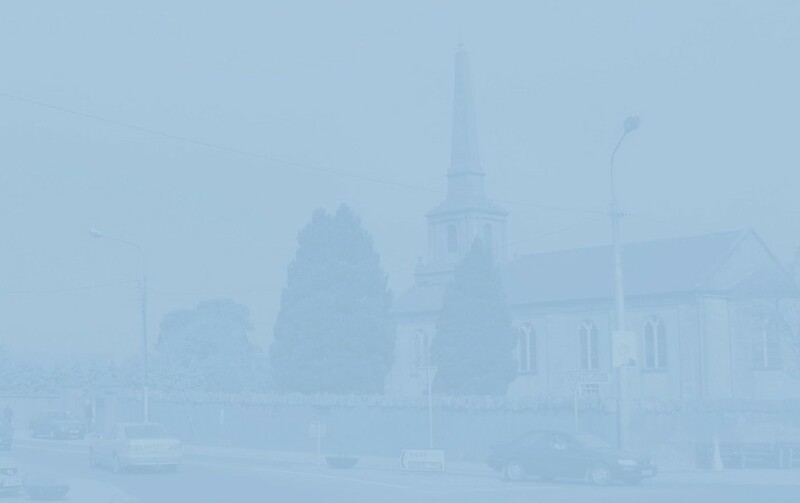 A former Chieftain of the O'Malley Clan, Mary had a great attachment to the town and, after her marriage to Donal Sands and subsequent residence in Leixlip, often returned to visit friends. Her untimely death in March 2011 caused much sadness amongst townspeople. The premises were vacant for a while until February 2007 when Reiki Master Mary "Mol" Murphy opened Sivana ('Oasis of Enlightenment') selling books, angels, incense, Eastern artifacts etc. etc. Whatever about enlightenment, I remember the shop - which closed in July 2010 - as a fragrant oasis of calm in a busy Main Street. Self-described as a celestial poet, Mary's daughter, Laura, was also available to help you transform your message, emotions, and thoughts into poetry. In 2011, the shop changed hands again: now you could buy cosmetics, wigs, hair extensions, dreadlocks and braiding in the ephemeral Charity Hair Studio. Since 2013, Izzy's Unique Hair Care been here to look after your crowning glory and cover you with Crazy Angels Spray Tan. 1 The Irish Times. August 24, 1876.